This tattoo requested by Marcel presents two blank shapes: they are koru (unfolding fern leaves) which normally symbolize life and new beginning, also used coupled to represent descent and traditions. A Maori saying quotes "Mate atu he tete, ara mai he tete" which translates "A frond dies, a frond is born" meaning that life continues in our children. 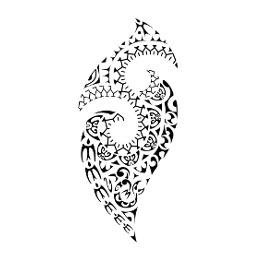 This continuity is also represented by the turtle shell motif (honu, to represent family) which begins around the lower koru and ends around the higher one. 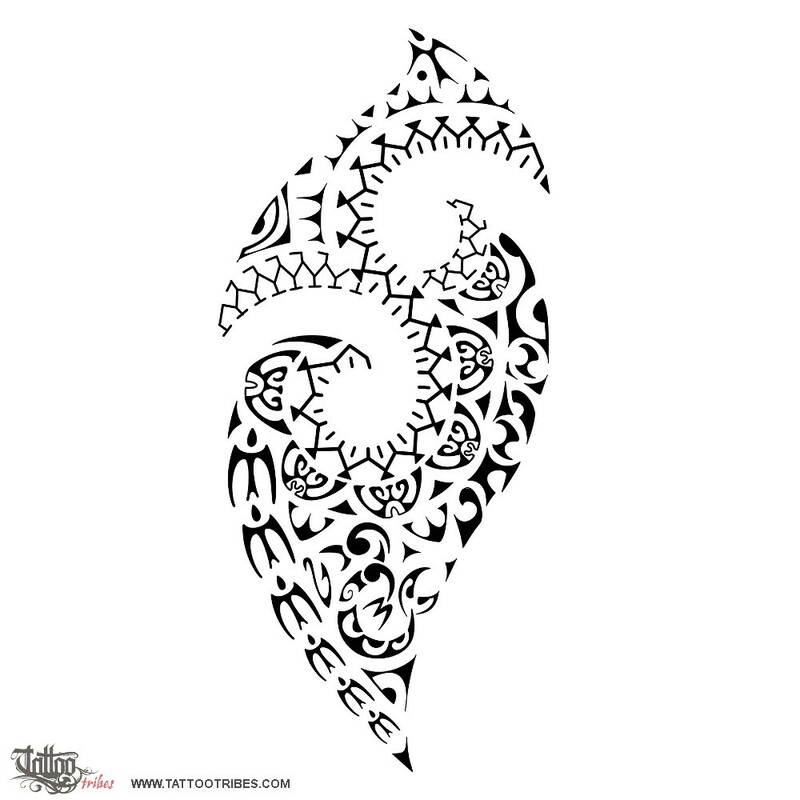 The elements around the koru are enata, representing ancestors and symbolizing that even if they have passed away, the line of the family still goes on into the future, from father to son. A manaia, tiki hands and a tiki eye are all protective symbols guarding on the family. A curiosity: the word tete, or tetekura, also indicates the chief.